We tried to remain true to the history and consulted a lot with residents. Once the community felt we had the right narrative they left us to work out the compositions. Wallamullah Land of Plenty is one of eight murals painted on the railway pylons at Woolloomooloo, celebrating the history and people of this suburb. It shares the story of the Gadigal people, Woolloomooloo’s traditional owners, and the devastating impact of European settlers on their way of life. The overall design is based on the Aboriginal land rights flag – black at the top, to represent the colour of the people, a yellow circle at the centre for the Australian sun, and red at the bottom for the land. 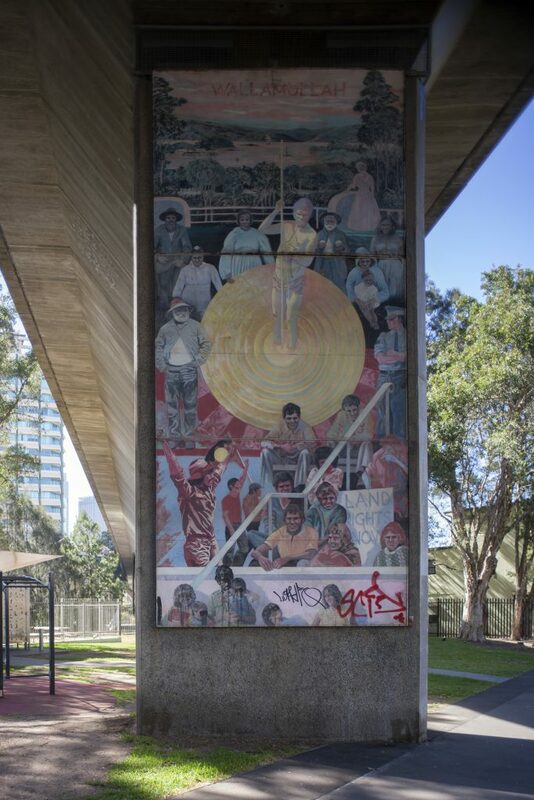 The mural depicts a time of unspoiled landscape, when the Gadigal people hunted, fished and foraged, and ‘Wallamullah’ was an important ceremonial gathering place. Further down the mural the artwork illustrates this traditional lifestyle being stripped away. 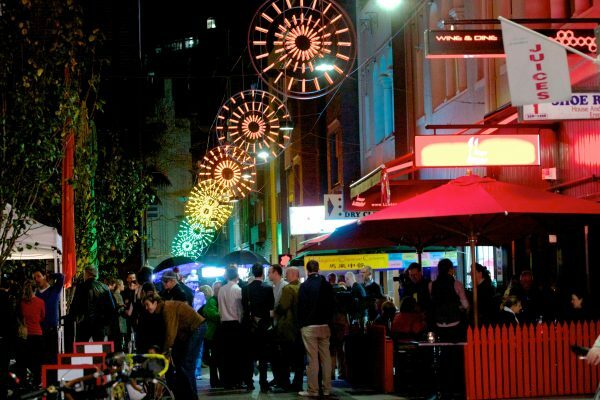 At first the Gadigal people lived alongside the settlers, but as time passed the newcomers built on their sacred lands and imposed their own customs and way of life. It was more than 150 years before the Gadigal people of Woolloomooloo, and other Aboriginal peoples across Australia, began to reclaim their traditional homes. In the lower section of their mural, Dolk and Fairskye capture the determination of the people who fought to win back those rights and rebuild their communities. 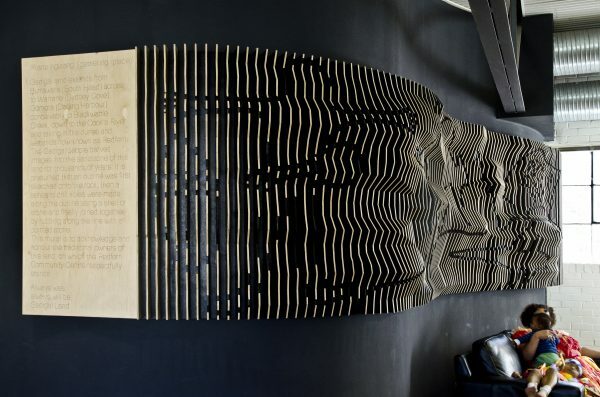 Painted using details from historical records, newspapers, paintings, photographs and the personal memories of the local community, Wallamullah Land of Plenty acknowledges the sorrow and suffering of the Gadigal people, and their rightful place at the heart of Woolloomooloo’s community. The Woolloomooloo murals were designed and painted by local artists Michiel Dolk and Merilyn Fairskye. Wanting to preserve and celebrate the suburb’s unique history, the artists approached the Woolloomooloo Resident Action Group with the idea in 1979. 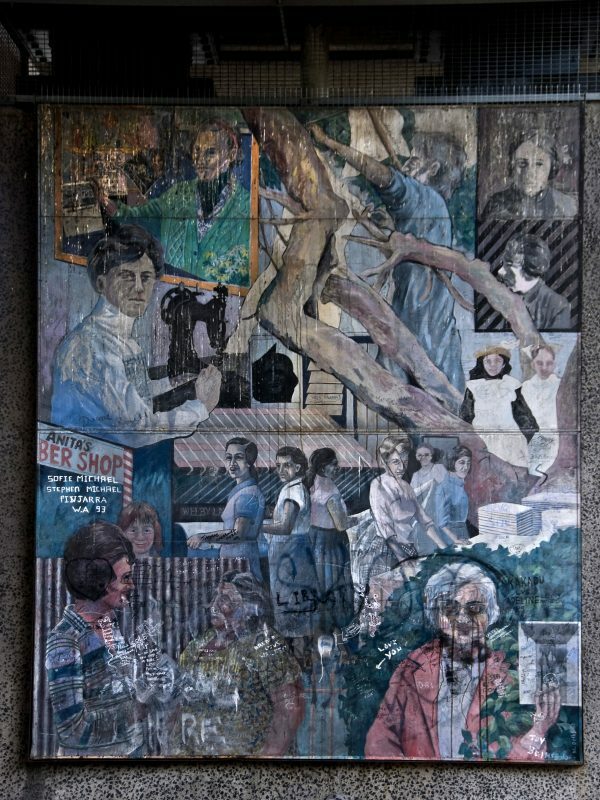 Before putting paint to panel, Fairskye and Dolk spent a full year piecing together the real story of Woolloomooloo from archives, and the memories and photos of the families who lived it. Hundreds of donors and community groups raised funds for the materials, but the artists worked for free. The murals took three years to create. Woolloomooloo was traditionally a suburb for waterside workers and their families. In the 1970s, the area was under threat from developers, who wanted to construct high-rise developments. Residents refused to leave and, with the support of their unions, managed to save many homes. 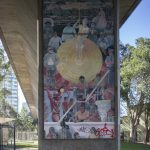 The Woolloomooloo Mural Project was conceived by activist artists Merilyn Fairskye and Michiel Dolk in 1982 to celebrate the suburb’s people and history. 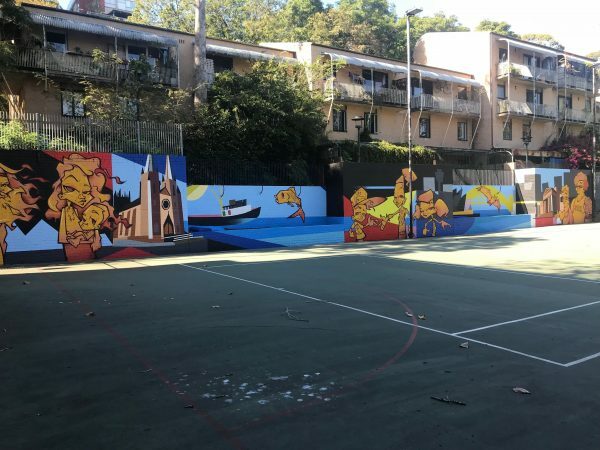 There were a total of 16 murals commissioned by the Woolloomooloo Residents Action Group. The murals were originally intended to last 10 years and have now been on display for over 25 years. With extensive consultations, eight of the sixteen murals were identified as being of high historical significance and aim to become an active link to people’s memories of the area.